New York is a hard market to crack – particularly for avowedly ‘creative’ agencies, Droga5 being a notable exception – but Wieden+Kennedy seems to have taken an important step forward by hiring Jaime Robinson (left) from Pereira & O’Dell in San Francisco. 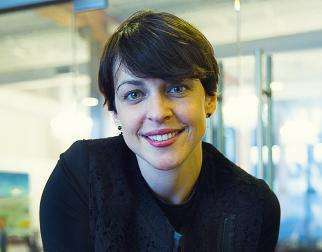 She joins as ECD alongside David Kolbusz who joined W+K New York from BBH in London last year. Robinson spent six years at POD, winning numerous awards for Intel and Toshiba including three Grand Prix at Cannes in 2013. Prior to POD she worked as a copywriter at Mad Dogs & Englishmen and TBWA. Kolbusz and Robinson take the places of Scott Vitrone and Ian Reichenthal who departed for Barton F. Graf 9000 in 2013.